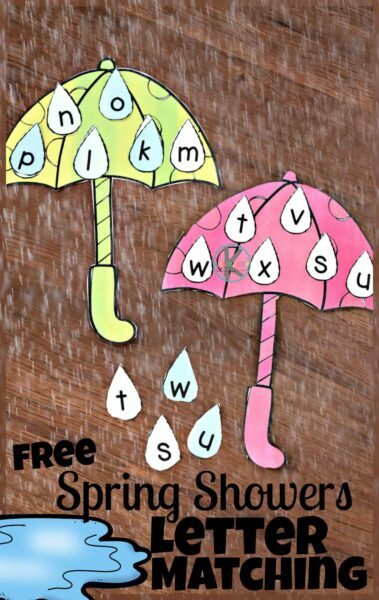 This super cute, April themed Spring Showers Letter Matching activity makes it fun for preschool and kindergarten age kids to practice matching uppercase and lowercase letters. 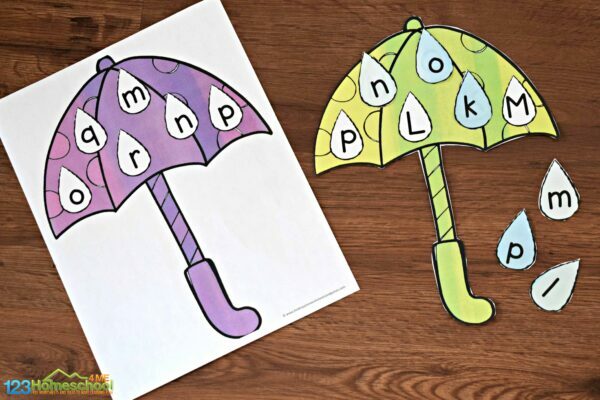 Kids will have fun practicing matching uppercase spots on the umbrellas with lowercase letter raindrops for a fun, hands on alphabet activity for preschool and kindergarten age kids. 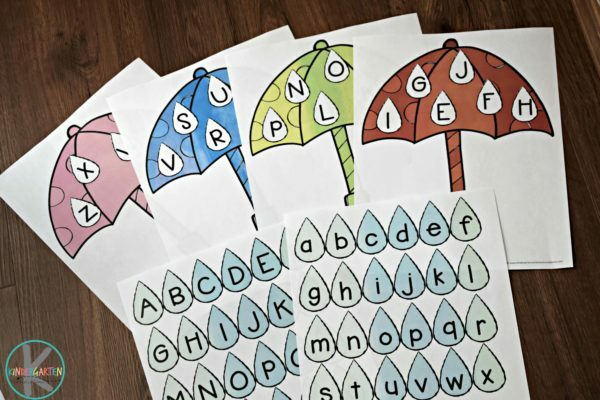 Start out by printing off the 9 umbrella and two sheets of raindrops in color. I suggest printing on cardstock or laminating for durability. 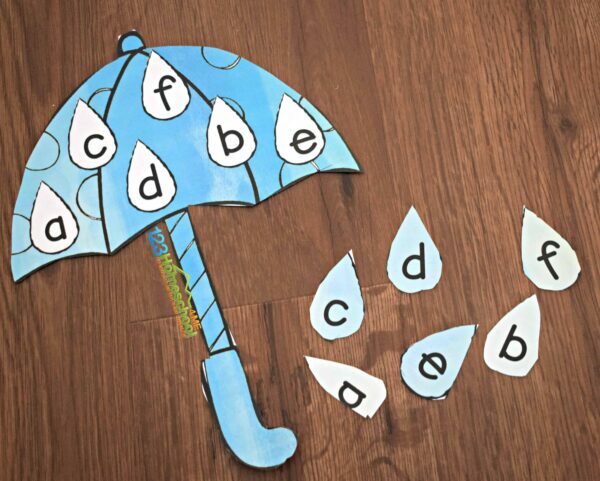 Next, you will want to cut out the uppercase and lowercase alphabet raindrops. 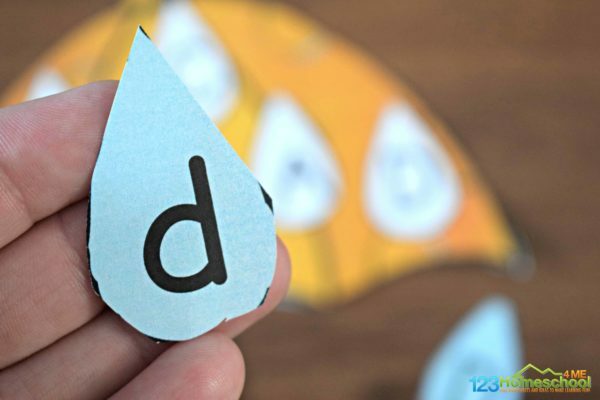 This is such a fun idea for kindergarten and preschool alphabet practice.